The most difficult thing about being on a diet is staying away from breads, cakes, cookies and everything else that comes out of an oven! 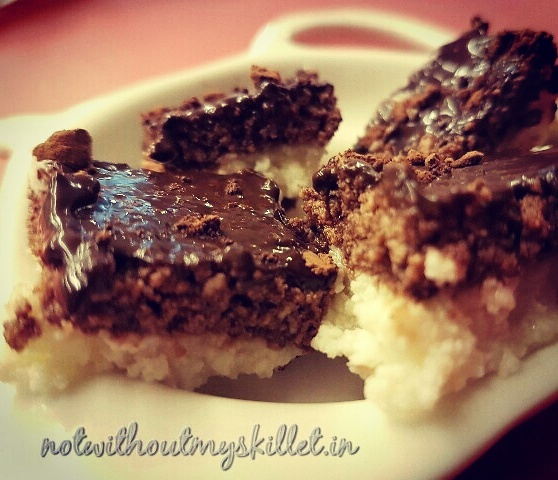 But dieticians also give you cheat dates…and I made the most of it with this Chocolate Sandesh that has more proteins than fats! I actually made a sugar-free low-fat milk version for the husband, but a full-fat and sugared version for the girls at my workplace! This dish is turned around in less than 30 minutes, that is if you’re making cottage cheese too, otherwise it takes less than 10 minutes! 1. Bring the milk to a boil and add the lemon juice. let the milk boil for 5 minutes till it separates into whey and cottage cheese. Strain this mix. You can use the whey in a gravvy dish, please do not throw this away, it is full of nutrients. 2. Rinse out the solid part under water so that all the lemon is washed away. 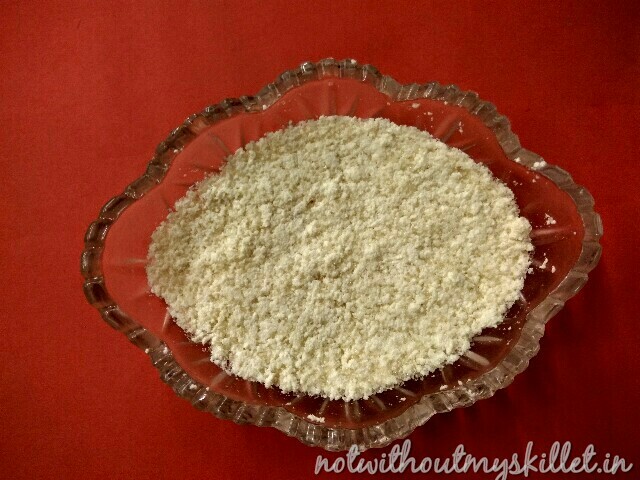 Use the base of the palm of your hand to completely pulverise the cottage cheese. It should be very smooth. 3. Mix sugar in it and then divide it into two parts. To one part add all the chocolate powder. 4. 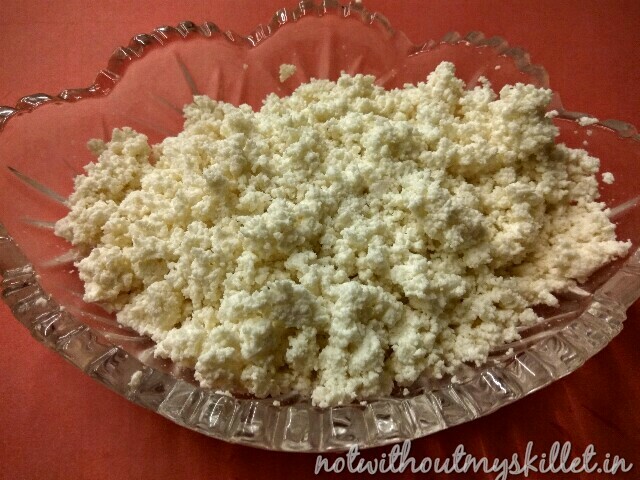 Take a glass dish and line it with the cottage cheese with sugar mix. Press it down so it forms a flat line. 5. Now add the cottage cheese with chocolate mix on it and smoothen it out. This layer should form a thick layer over the entire base. 6. 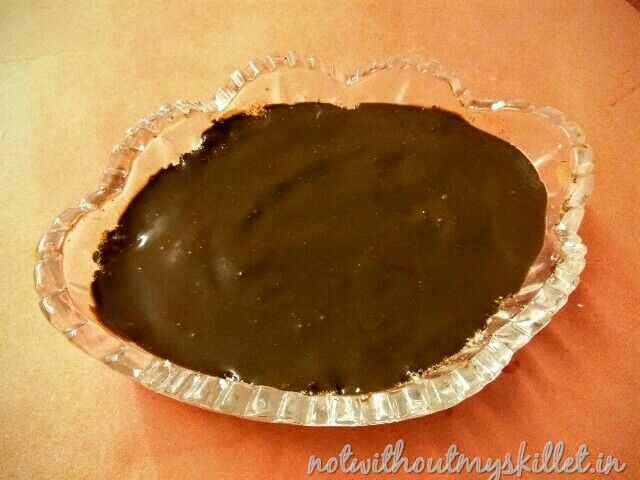 Pour chocolate sauce on top and smoothen the layer out. Now you can either top this with chocolate powder or with the roasted and sliced almond. 7. 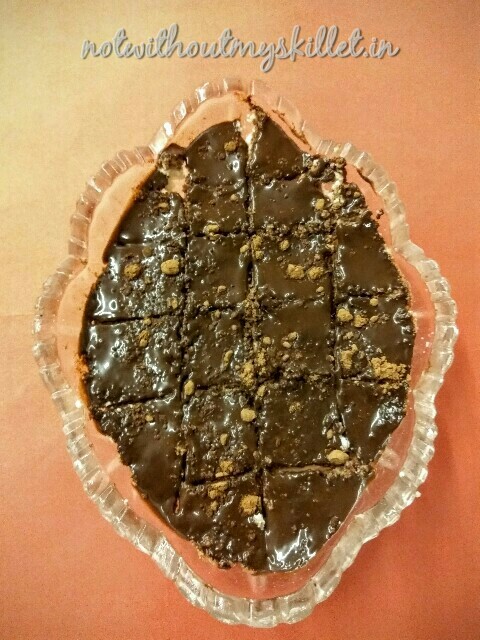 Chill the chocolate sandesh for at least 4 hours. 8. Cut is into pieces and serve cold. This sandesh has a shelf life of only 24 hours.